Inspire excitement in children when it comes time to eat their fruits and veggies with encouragement from this Garden HeroesÂ® Set. 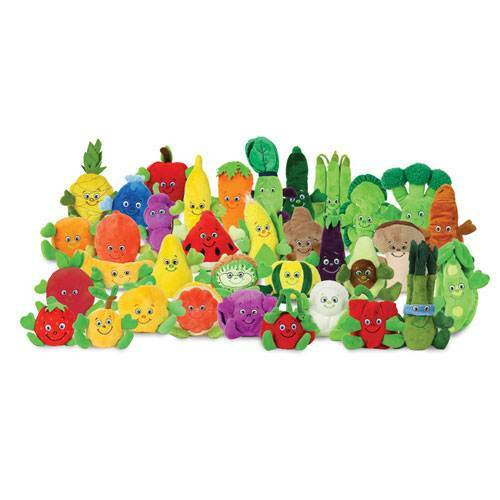 This set comes with 35 plush, cuddly bean-bag fruit and vegetable characters with fun, embroidered faces to delight children as they learn the importance of healthy eating habits. Parents and teachers will easily be able to keep these nutritional learning toys looking like new thanks to the machine-washable design. With durable seams, these toys are built to last through rambunctious meals and play sessions.